That unravelling of parachute flies is SO annoying. Not much that can be done for the commercial patterns but I hope you won’t mind if I bring to your readers attention a couple of ideas which might help them with more durable parachutes if they are tying themselves. The first is a free download eBook “Who packed your parachute”. It discusses an improved way of tying parachute flies, why the old systems don’t work and what you can do about it. The book is available for free from https://www.smashwords.com/books/view/17437 using the methods described you will NEVER have the hackle unwind up the post again. These are great. Thanks for the heads up. 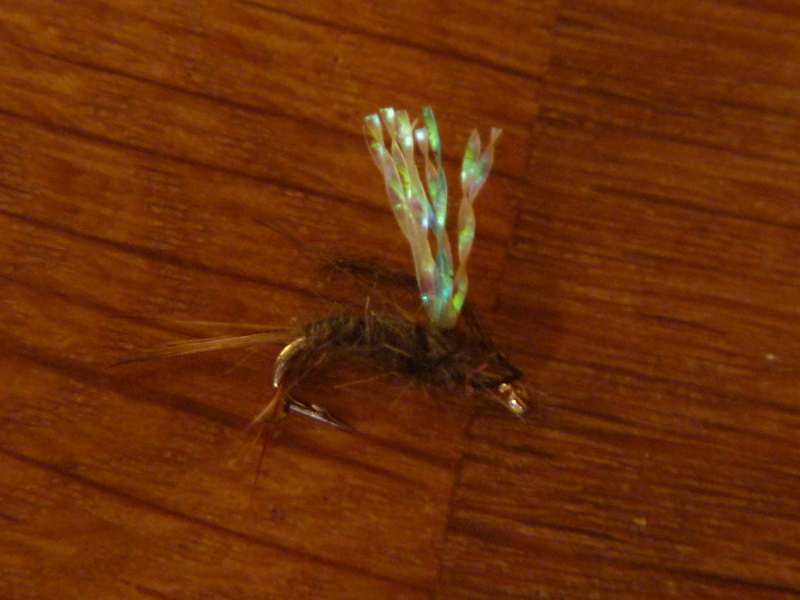 I just recently started tying and dedicated most of my time to particular flies I had been informed I would need for my mid-July trip to Montana. So sad to say I haven’t tied a fly since I got home from that trip but with the cold winds blowing into KY right now, I’d say it’s time for me to get started again. Maybe I’ll do some experimentation this time. 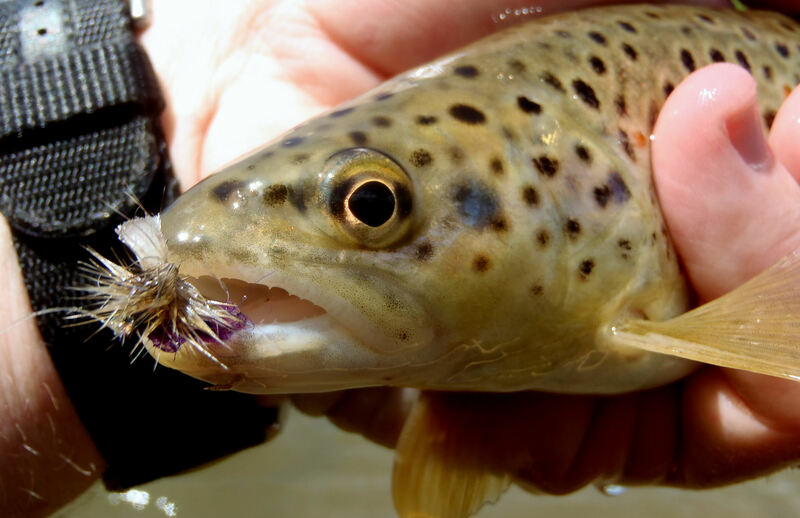 It’s a sad substitute for actually fishing–but it’s better than nothing. Stay warm out there (I spent two winters in Kentucky. Freezing rain is terrifying). Thank you–I’ll have to get on this. Everything unravels eventually. The wise man goes with it. The foolish struggle with it. The old man who is a little of both does the best he can to make it graceful while using it. I wish I sometimes had a bit more patients. It would come in handy. I did some fishing in Montana for a week last summer. The Purple Haze was the ticket! We fished 14’s, sometimes in tandem with a #10 or #12 Brindle Chute. 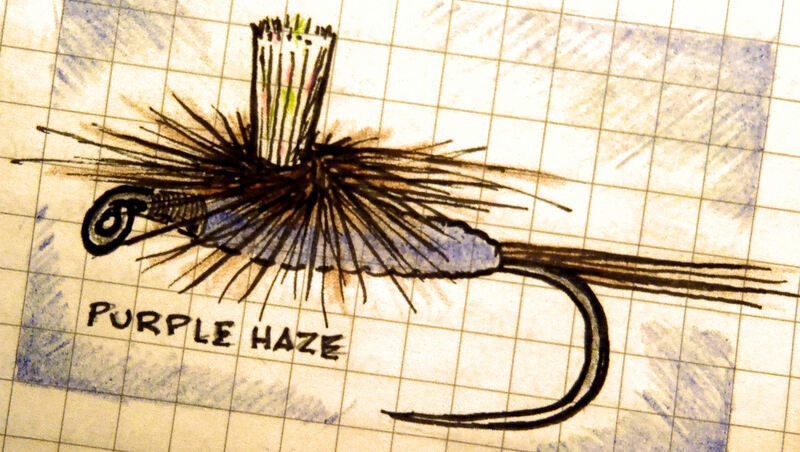 I have a great fondness for the Purple Haze. The Haze. The haze. 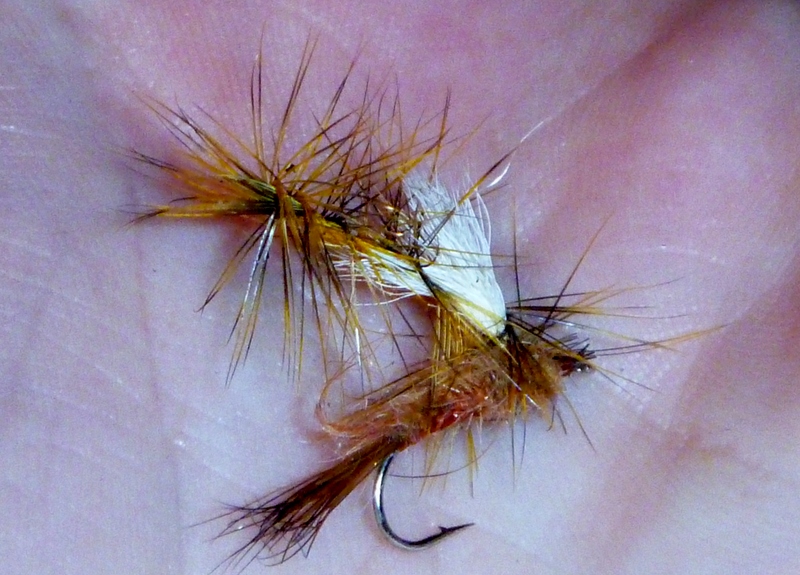 I tie other puple flies just hoping that it will have similar results. It hasn’t yet, but I keep waiting.